Recently, tribal leaders, landowners, hunters, anglers, conservationists, business owners and government leaders gathered in Washington, D.C. for the White House Conservation Conference. Tourism and outdoor recreation, coastal conservation, river restoration and hunting and fishing were important topics of discussion, as well as other key conservation issues. Agriculture Secretary Tom Vilsak, Environmental Protection Agency Administrator Lisa Jackson and Interior Secretary Ken Salazar also attended the event. President Barack Obama addressed the crowd, stating that, “effective conservation is about more than protecting the environment, it’s about strengthening the economy.” The President also highlighted the historic significance of conservation within the United States. He spoke about the value of protecting “the incredible bounty we’ve been blessed with” for current and future generations of Americans by placing conservation at the forefront of the national agenda. 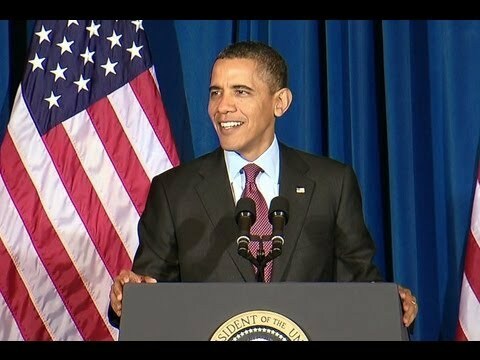 You can hear more of President Obama’s thoughts on conservation by watching the conference video above.